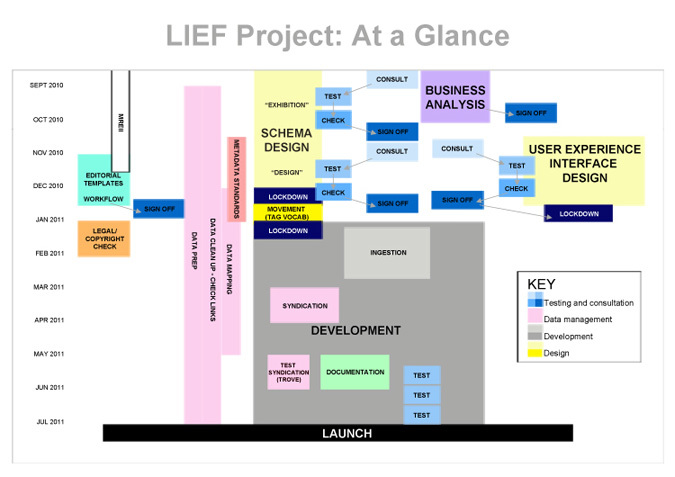 This diagram represents an overview of the schedule, major components and milestones of the Project. It is a gantt chart in box form. As the project progresses, various little elements will change within it as we learn more – but the critical path should not change.